Israeli soldiers abducted, on Friday at dawn, two young Palestinian men from their homes in Shweika area, north of Tulkarem, in the northern part of the occupied West Bank. 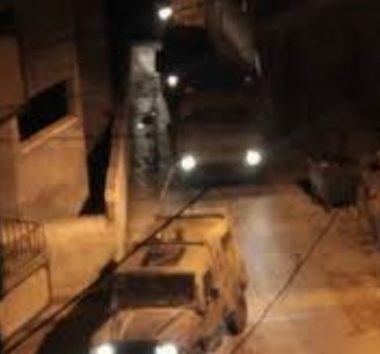 Eyewitnesses said the soldiers invaded and searched several homes in Shweika, and interrogated many Palestinians before abducting two. The Palestinian Prisoners’ Society (PPS) has reported that the soldiers abducted Majd Ala Ekbariyya, 20, and Lafi Mohammad Na’alwa, 21. The soldiers also installed roadblocks, before stopping and searched many cars, and interrogated several Palestinians while inspecting their ID cards.